Turn your marginal pasture into a high-quality forage with big trefoil. Big Trefoil (also known as Lotus major, bigleaf trefoil, or Lotus pedunculatus) is a cool-season perennial legume ideally suited for wet clay soils. It tolerates water-logged conditions, high acidity, and low fertility. It yields a high protein forage (mid-20% is the norm) that is non-bloating (unlike clovers) and contain condensed tannins, shown to reduce parasite loads. Trefoil grows well in mixed stands with grasses and matures later than grasses, providing a late-summer palatable forage. It grows well in wet areas and can be used in seeding ditch banks or ponds. 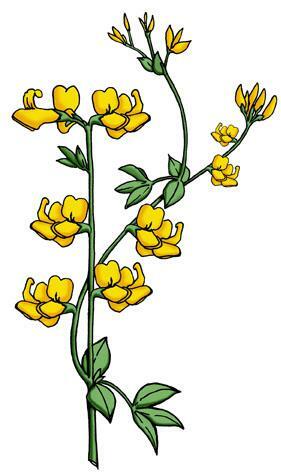 Trefoil makes an ideal addition to wildlife areas; deer and elk love eating this crop. Read more about big trefoil by clicking the links below.